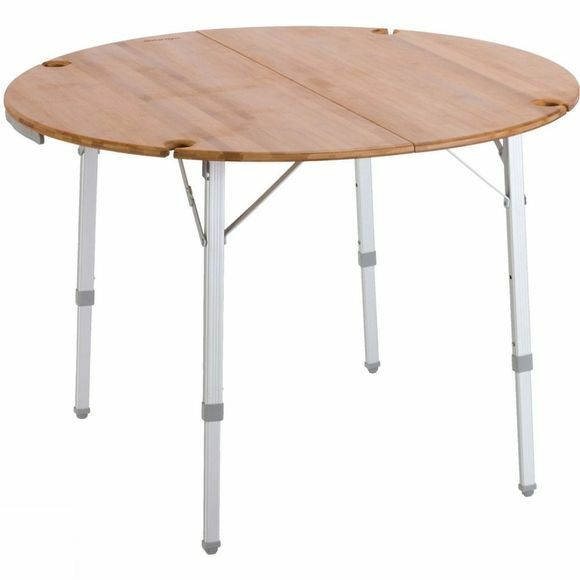 TheBamboo Round Table 100cm from Vango is an elegant and sturdy dining table for a more formal dining experience on the campsite. The hardwearing bamboo tabletop is not only strong but also easy to clean and folds in half for ease of storage. 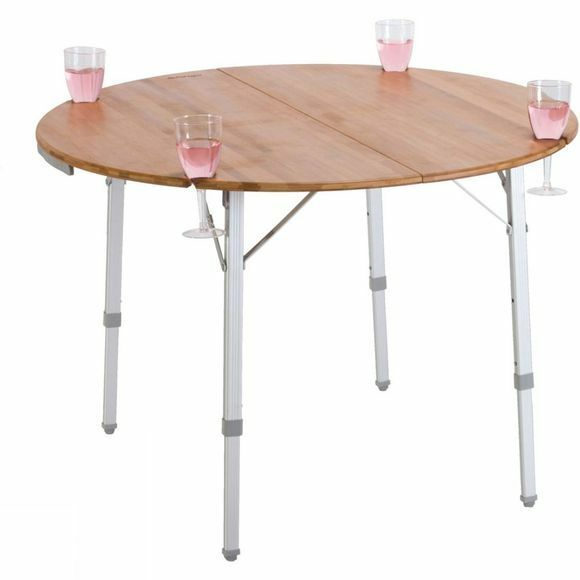 Combined with the lightweight and adjustable aluminium frame (which ensures the table will stay level even on uneven ground), this folding tabletop with 4 wine glass holders makes the Bamboo Round Table 100cm from Vango the zenith of our camping furniture range.